Description: ★★★★★When you receive the parcel, we hope you can be as happy and careful as opening a Christmas gift to avoid accidental injury to your baby. At the same time, customers who need help in the installation can send us a message at Amazon anytime. We will try our best to help you. 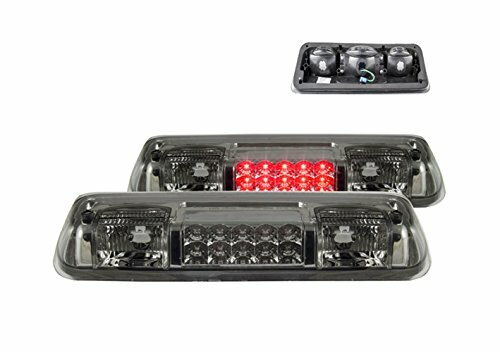 Housing: ABS material Watt: 5W Diameter: 13.8 inch(350mm*350mm*23mm) Color of Light: Red Usage: spare tire wheel brake light Placement on vehicle: Rear Warranty:12 months Fitment: Fits 2007-2017 Jeep Wrangler Fits 16"+ Rims, may fit some 15" rims. 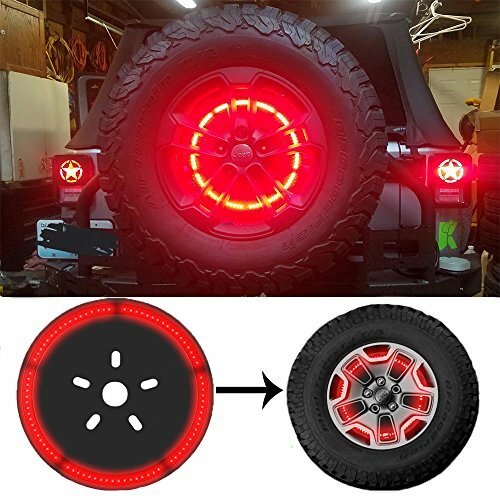 Fits Jeep Wranglers with 5" X 4.5" and 5" X 5" wheel hubs. Fits:04-08 Ford F150 DOESN'T FIT 2004 F-150 HERITAGE & SVT LIGHTNING & Fl50 XLT extended cabThis item only has 1 plug. If your car has 3 plugs, you'll need to remove wiring harness in order to install Housing 3rd Brake Light that give your car an unique look100% Brand New in Original PackagingLook exactly the same as shown in the pictureHigh Quality 3rd Brake lights made by OEM approved manufacturers with materials that meet strict OEM requirements.Professional Installation is Highly Recommended, No instruction included with the package.Affordable & Excellent merchandise for enhancing style of your vehicle & bring out a totally different look to your car. 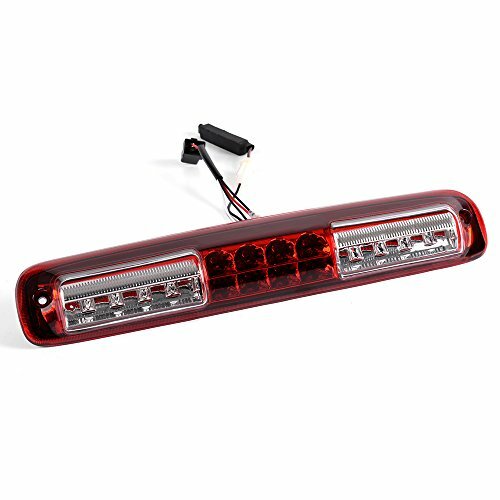 Title: Third Brake Tail Light Application: 1999-2006 Chevy Silverado 1500/ 2500 HD/ 3500 2007-2007 Chevy Silverado Classic 1500/ 2500 HD/ 3500 1999-2006 GMC Sierra 1500/ 2500 HD/ 3500 2007-2007 GMC Sierra Classic 1500/ 2500 HD/ 3500 [2-Door Regular Cab | 3/4-Door Extra Cab | 4-Door Crew Cab] ATTENTION Compatible on 2007 Classic Models Only Description: Condition: 100% Brand New Direct Plug & Play, Low Power Consumption Super Bright LED lights Compare to the OEM Halogen Brings a Different Appearance to Vehicle Thats Great for Show Use Polycarbonate Lens offer Superior UV protection and a High Impact Resistance Bullet-Cap LED: Brake & Cargo Voltag: 12V Material: ABS Plastic Life-Span: 30000-50000 Hours Package Includes: 1 X Third Brake Tail Light Note: All of the items in our shop will come to you with the tracking number. 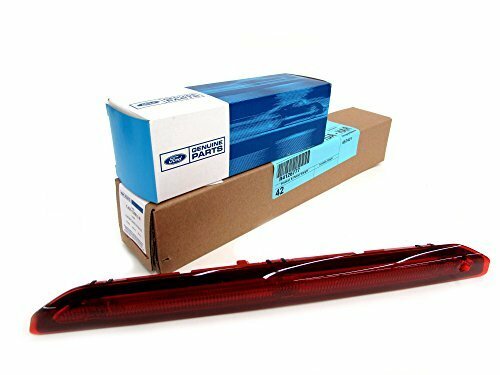 Fits for: 2017 Ram 2500 2017 Ram 1500 2016 Ram 2500 2016 Ram 1500 2015 Ram 2500 2015 Ram 1500 2014 Ram 2500 2014 Ram 1500 2013 Ram 2500 2013 Ram 1500 2012 Ram 2500 2012 Ram 1500 2011 Ram 2500 2011 Ram 1500 2010 Dodge Ram 2500 2010 Dodge Ram 1500 2009 Dodge Ram 1500 [2-Door Regular Cab/4-Door Quad Cab/4-Door Crew Cab/4-Door Mega Cab] Notes: Not Compatible on Models w/Cargo Camera on 3rd Brake Light Features: Chrome Housing/Smoke Lens Complete Assembly Bullet-Cap LED:Brake & Cargo Direct Plug & Play Lights have Tech-Leading DIP LED's which illuminate up to 10x faster than Incandescent Bulbs alerting Trailing Drivers sooner for Added Safety while bringing a New Modern Look to your Vehicle with Brighter, more Efficient Lighting. Polycarbonate Lens offer Superior UV protection and a High Impact Resistance. 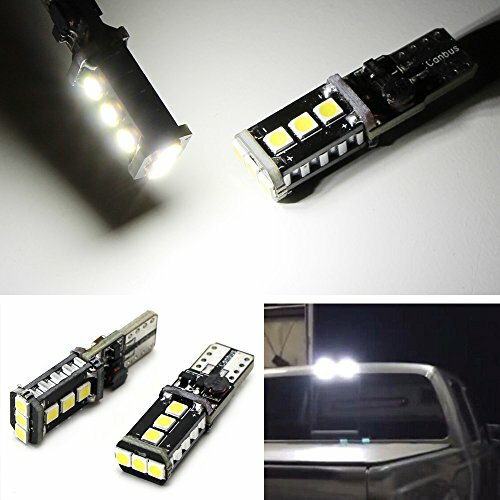 Smoked Lens Obstructs Light Output/Off-Road Use Only. 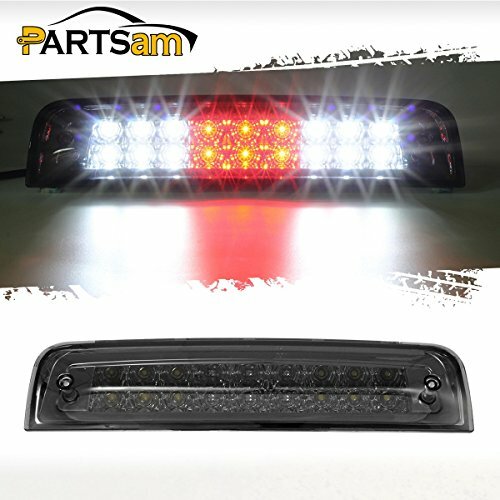 Package Includes: 1pc Smoke Lens (9xRed+18xWhite) LED 3rd Third Brake Light. 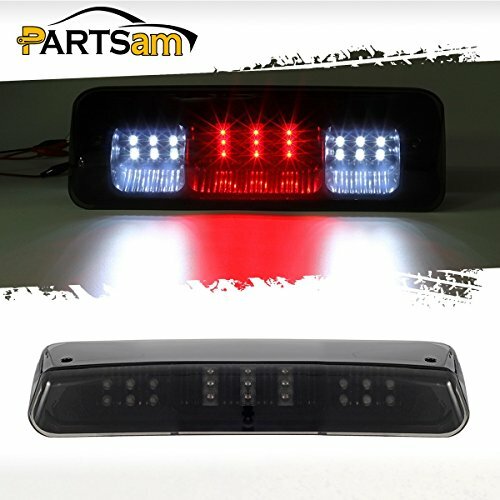 Looking for more 3rd Brake Lamp similar ideas? Try to explore these searches: Frock Coat, 4 Column Corner Rack, and Dvd Player Wall Brackets. 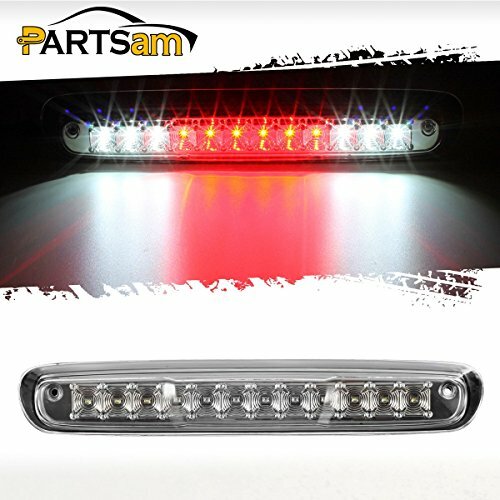 Look at latest related video about 3rd Brake Lamp. Shopwizion.com is the smartest way for online shopping: compare prices of leading online shops for best deals around the web. 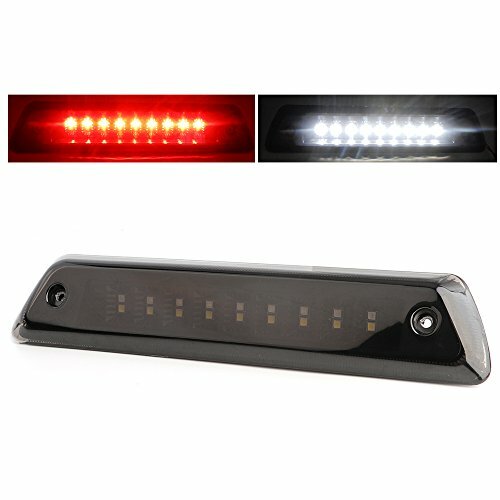 Don't miss TOP 3rd Brake Lamp deals, updated daily.